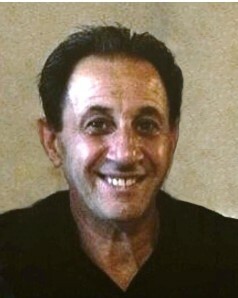 John A. Mottola, 60, of Methuen passed away peacefully surrounded by his loving family Friday, August 10, 2018 after a long and courageous battle with cancer. He was born in Methuen and was the son of the late John and Elizabeth (Tucci) Mottola. Raised and educated in Methuen, John was part of the last graduating class from Tenney High School in 1975. He worked as a CNC/CMM programmer for Textron in Wilmington, MA. He took pride in everything he did, including working on his cars, carpentry, and tinkering with things. He had a heart of gold, especially when he it came to helping others, and had a great sense of humor. John loved life, his family and friends meant everything to him. Though he enjoyed being a handyman to the fullest and spending as much time possible with his family, his love for his granddaughter, Gianna is what brought him the most joy; his eyes lit up with pride in her presence. He was predeceased by his brother, Arthur Mottola. John is survived by the love of his life, his wife of thirty-seven years, Nancy K. (Zytkewicz) Mottola of Methuen; daughter, Tiffany M. Mottola of Methuen; sons, Anthony J. and Nicholas P. Mottola both of Methuen; brother, Joseph Mottola and his wife, Rosie of Methuen; sister, MRose MLeblanc of Lowell; adored granddaughter, Gianna Mottola-Leal of Methuen. He also leaves many nieces and nephews. Relatives and friends are respectfully invited to attend visiting hours on Thursday, August 16, 2018 from 4:00-8:00 pm at Cataudella Funeral Home, 126 Pleasant Valley Street in Methuen. His funeral mass will be celebrated on Friday, August 17th at 10:00 am at Corpus Christi Parish at Holy Rosary Church, 35 Essex Street in Lawrence. In lieu of flowers, donations in John’s memory may be made to Kaplan Family Hospice House, payable to Care Dimensions, 75 Sylvan Street, Suite B-102, Danvers, MA 01923 or via www.caredimensions.org/giving/ways-to-give.